Instagram is a visual platform, so it’s only natural that you must publish high-quality images that grab people’s attention. However, you don’t have to be a graphic designer to do so. Here’s a couple of tools that you can use to add some caffeine to your design. Typorama handles images and text overlays with ease to help you build motivational quotes and images. As an easy to use mobile app, Typorama will allow you to choose from a variety of text and font styles, along with other design options like filters and overlays so you always have a consistent theme. Typorama includes access to a ton of royalty-free images but if they don’t have what you’re looking for, never fear! You can find a bespoke image by accessing the image database Pixabay, (https://pixabay.com) which is packed with a ton of royalty-free and attribution-free images that you can use immediately. 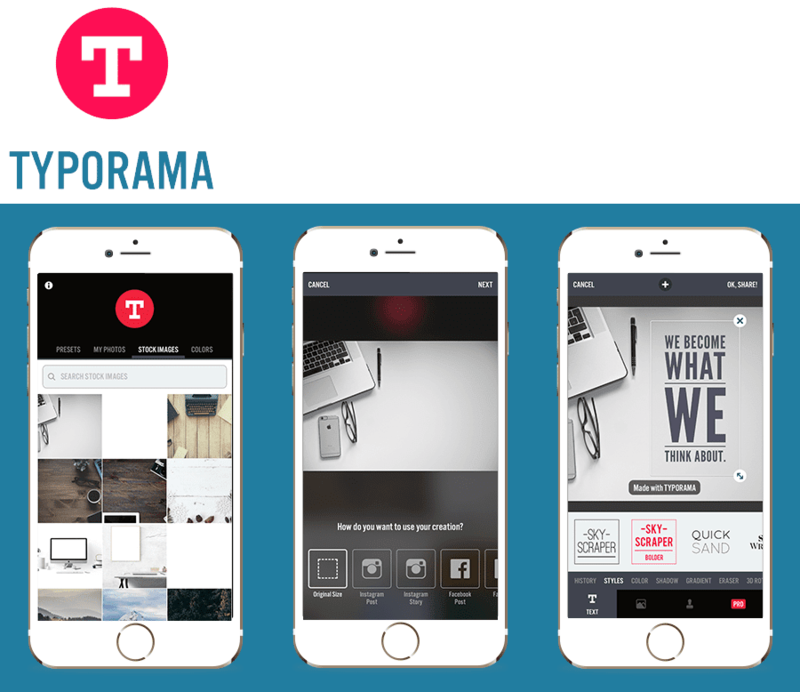 At the moment, Typorama is available only for Apple devices and costs $1.99 to access all of its features. A Beautiful Mess is another solid mobile app that you can use to create great-looking content. What sets A Beautiful Mess apart from other apps is that you get access to hand-drawn features and designs from its creators and it’s constantly being updated. So you can give your content more of a personalized feel. Having that extra bit of personalization adds value to visitors because they appreciate it when it feels like they’re talking to a person, not a brand. If you’re looking to create a sales funnel over Instagram, you’re probably looking to drive traffic to your website or landing page. One of Instagram’s drawbacks is that it doesn’t have a native tracking feature. To make up for that, try one of the following tools. 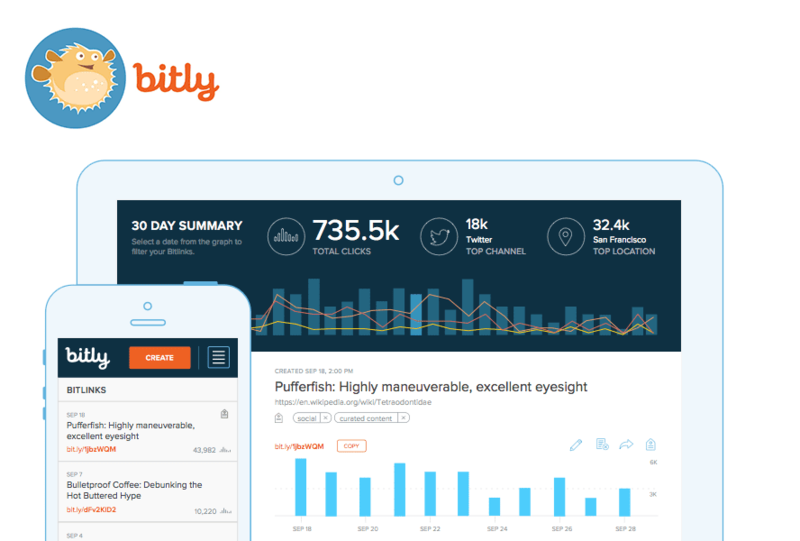 Bitly is one of the most popular URL shorteners out there. With Bitly, you’re able to shorten any distractingly long URL into a much shorter and more manageable form. For example, with Bitly you have a built-in platform to track everything from the number of clicks you get, to where in the world these clicks came from. Bitly generates a unique URL and tracks when users click on it. By analyzing this data, you can check how well your landing page is doing and whether your sales funnel is producing the results you want because there’s no point in producing great content for Instagram if you can’t get people to click your link. 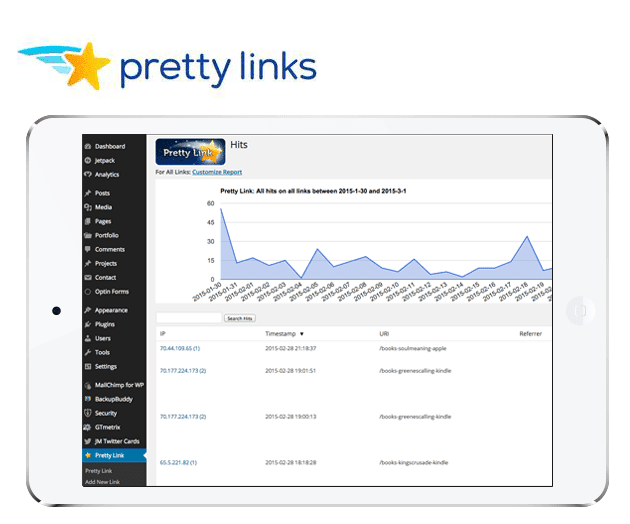 If your website is hosted by WordPress, Pretty Link is a good choice. Messy links prevent people from clicking. If your URL is a jumble of numbers and letters, you’re less likely to get clicks than if it were just a simple word. With Pretty Link, you can create your own custom URL for any one of your pages and track how many hits and unique visitors you’re getting. Pretty Link helps make your links more clickable, especially if you use WordPress. As mentioned earlier, Instagram doesn’t offer any native features to track performance. There’s no way to track important data like engagement, follower count, or growth using Instagram alone. Without access to this type of data, you’re unable to gain insight into how your content strategy is going and if you need to make any changes. 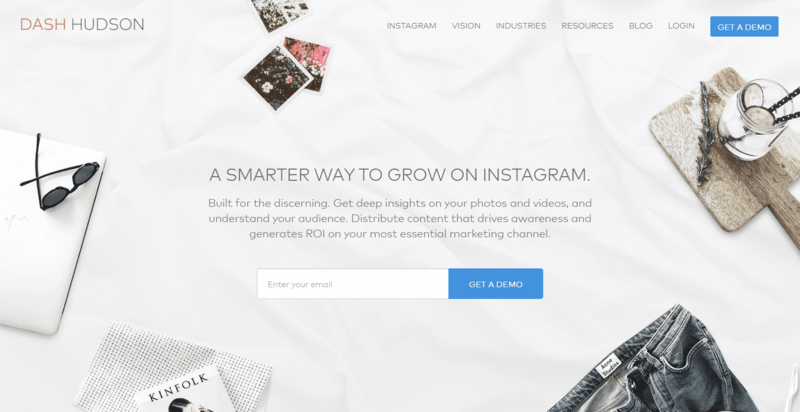 With analytics, you’ll be able to further refine your Instagram marketing strategy. Iconosquare is the go-to web application that most marketers turn to when looking for help managing and tracking their Instagram accounts. It allows you to track important metrics like the number of likes a post is getting, best times to post, and the number of shares your posts are getting beyond your followers. With Iconosquare, you can even track and measure your followers. This is great if you’re looking to do market research and want to see who is the most receptive to your message. You can even measure what type of followers you’re attracting and how they found you. Currently, Iconosquare offers a seven-day free trial to access all of its features. They have two plans, with the Plus plan currently at $28.80 a year and an Elite plan at $149, to access bonus features like hashtag performance reports and rolling monthly reports. Dash Hudson is a relatively new Instagram analytics platform, but it provides metrics that no other application can right now. With Dash Hudson, you’ll be able to find out how many followers you gain per post and measure your brand’s influence based on user-generated content. At the moment, Dash Hudson offers custom pricing and packages based on your specific Instagram needs. One of the more frustrating things using Instagram is the inability to schedule posts within the app. With Later you’ll be able to schedule posts weeks in advance. With Later, you can schedule your posts at your peak times to improve your engagement and follower rate. When posting on Instagram, it’s best to post around the times your audience gets up, when they go to lunch, and just before they go to bed. Later lets you prepare posts without having to worry about constantly creating new content on the spot. Unfortunately, Later won’t post for you. Instead, you’ll receive a notification that you’ve scheduled a post. A premium plan at $19 a month allows up to two users on one account to schedule up to 250 posts. A key part of any good Instagram strategy is knowing exactly which hashtags to use with your post. Hashtags give your content context, and most importantly, put your content in front of your desired audience. With #HashMe, a free mobile app for both Apple and Android devices, you’ll be able to do hashtag research in no time. Unlike other hashtag generators that only show you what is trending by topic, #HashMe allows you to either type in a word or upload an image. 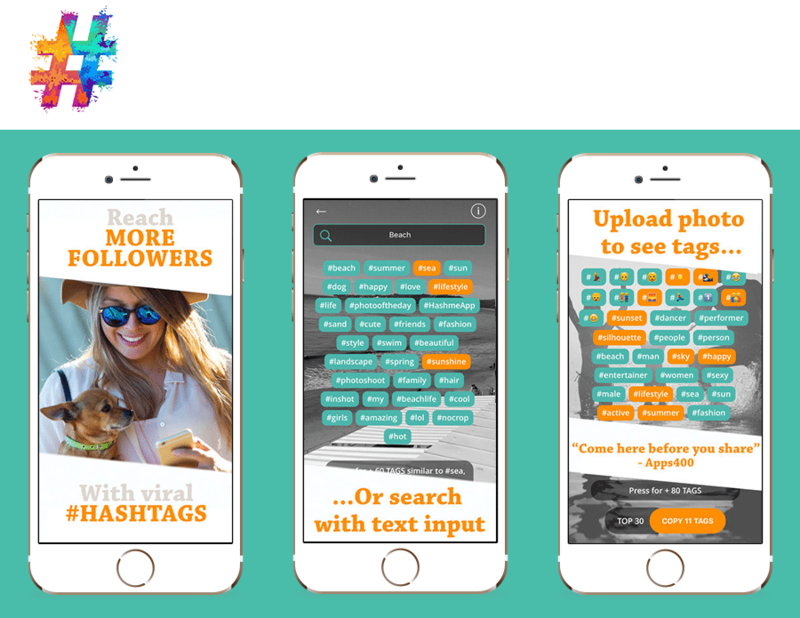 #HashMe then quickly scours through Instagram to find the most popular 30 related hashtags. Using this app, you can maximize the discoverability and engagement of all of your posts. Like any other sales funnel approach, marketing on Instagram is a process with many moving parts. To successfully achieve the results you want, you need to have the right tools for the job. Call us to ask additional questions about any of the tools we’ve provided above or for a free consultation to help create a great Instagram marketing process from start to finish. Stay tuned for some great website, SEO and contest tips!